I did try this morning but I confuse terms I think. I wanted to prevent viewers (in my head = reader of the library) as in our case, we have opened the library with reading access to our domain, but I would have liked to prevent download copying and printing to the domain, but to allow it to contributors (in our case = all people from our entities) and administrators. Could it be an improvement? 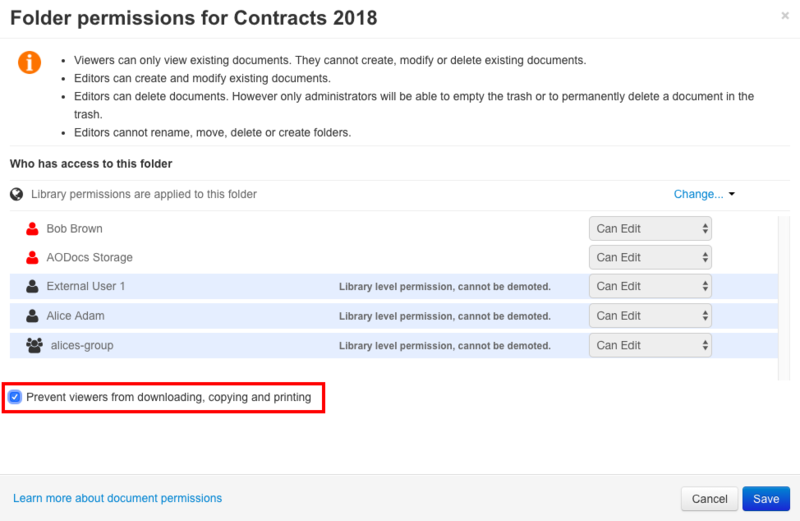 It would also be good to be able to show the option "copy the document" in an AODocs document itself to some roles but not to all. If your library is set with "All users in the domain have View access to the library" and other users or groups in "Can edit" access, only the users and groups explicitly listed in the library permissions with "Can edit" will be able to download. Keep in mind that the setting is applied at every file level, so there is a propagation time. When you say "can edit" access, you mean "contributor" setting in library security? 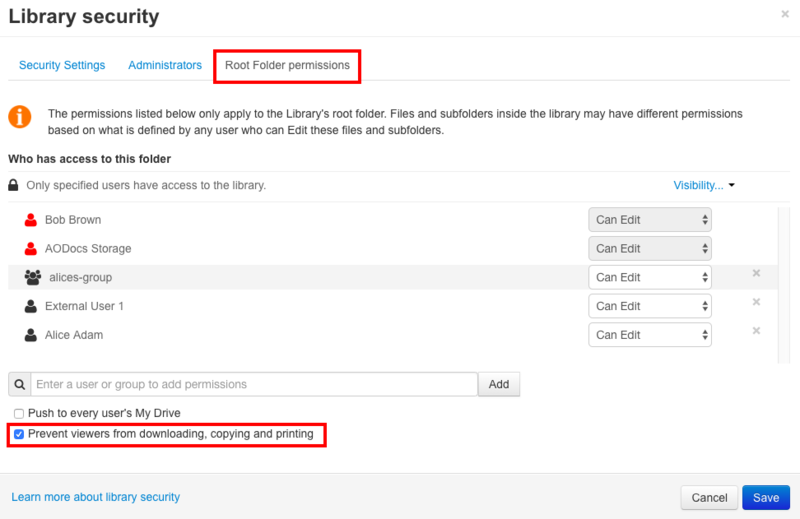 Is there a way of preventing Editors from downloading, copying and printing documents in a library? Unfortunately, no. Google Drive doesn't have this level of permission (yet).